The 2018 election season is getting an early start this weekend. Five months before the candidate filing deadline, the men who have already thrown their hats in the ring for the open Montgomery County Executive office will square off in a forum hosted by the Montgomery County Muslim Council. 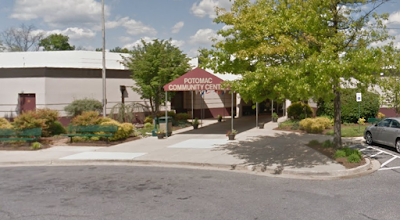 The debate will be held this Saturday, September 23, from 10:00 AM to 1:30 PM at the Potomac Community Center, located at 11315 Falls Road in Potomac. Expected to participate are Republican Robin Ficker and Democrats Roger Berliner, Marc Elrich and George Leventhal. Democrat Bill Frick of Bethesda just entered the race yesterday, and I will update this article as soon as I can confirm his participation. The event is free to attend and open to the public. From the schedule, it appears Congressional candidates will speak first, and the County Executive candidates will go on at noon. However, you will have the chance to "work the room" and speak one-on-one with the candidates between 10-10:30, and between 1-1:30. This is the first real chance to hear the platforms and positions of the candidates in their own words. Good to see you are providing updates for all events taking place around the city, very helpful for all voters so they can be present for the speeches. Keep up the good work.